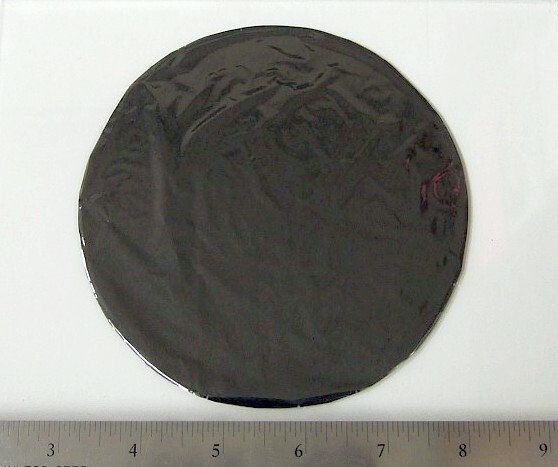 Request the latest price from Applied Nanotech, Inc.
ANI offers graphene films with diameters up to 13 cm and area densities of 0.1 to 2.0 mg/cm2. The graphene crystallites are tightly packed in the film. The graphene film density is approximately 1.5 - 2.0 g/cm3, which is comparable to the density of bulk graphite being 2.2 g/cm3. The film thickness is approximately 0.6 µm to over 10 µm.